“Clavier”, starting with C means “keyboard”, not “harpsichord”. Many of the 48 preludes and fugues that constitute this work are more suitable to organ than to harpsichord. Consequently, the piano is a valid instrument for the performance of this the Well-Tempered Clavier, because it has the capability of modifying its timbre according to the needs and therefore to give more expressivity to music. “Well-Tempered” is not referred to Equal Temperament, which we use nowadays and was well known at the time of Bach. It was referred to a tuning that would allow to perform music in all keys, without the need of re-tuning the keyboard instruments. The title of the work is “The Well-Tempered Keyboard”, not “The Equally Tempered Keyboard”. Thanks to the discoveries on the language of Bach that Stefano Greco made, it is possible to read every composition rhetorically, according to expressive media (both rhythmic and harmonic) that Bach used and that Greco revealed. This reading allows an interpretation and a decoding of Bach’s music that are both more conscious and usable. 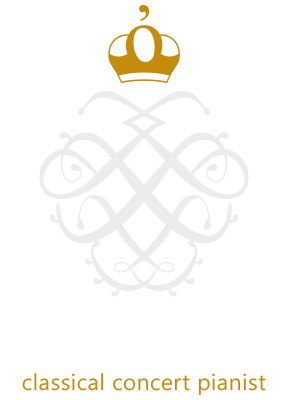 For this concert, Stefano Greco collaborates with the great piano technician Giovanni Bettin. Thanks to him, Stefano Greco can perform the Well-Tempered Clavier with the tuning found by Mark Lindley, great American musicologist. This is a tuning which is similar to the equal temperament (not everybody would note a big difference), but very likely it is very similar to the tuning that Bach meant for this music. Duration: 90 minutes + talk.